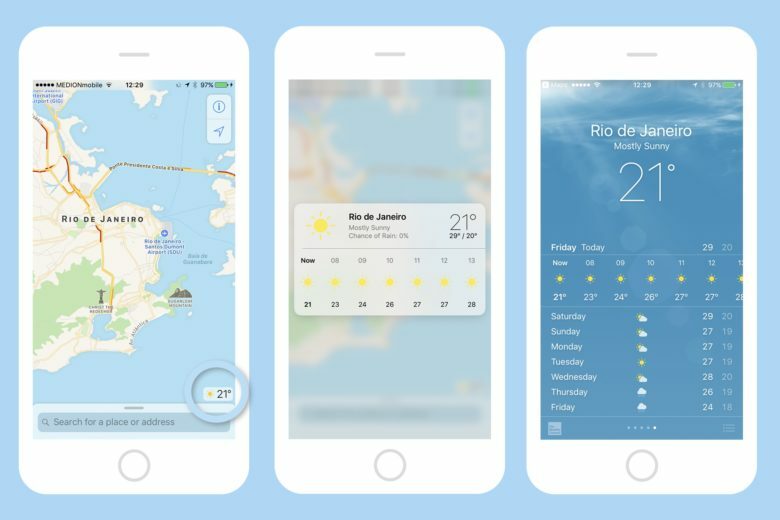 One of the neatest tricks in Maps app is the ability to quickly check the weather anywhere in the world. Apple’s Maps app has gotten pretty great recently, as long as you don’t want parks and forests marked in green. Like most of Apple’s built-in apps, Maps is even better when used with 3-D Touch. By pressing on everything from the app icon to the tiny weather can on the corner, you can access shortcuts and extra info. Let’s take a look. You can get extra infor about a place from pretty much anywhere, from the home screen to the Maps search history. The fun begins at the app icon. 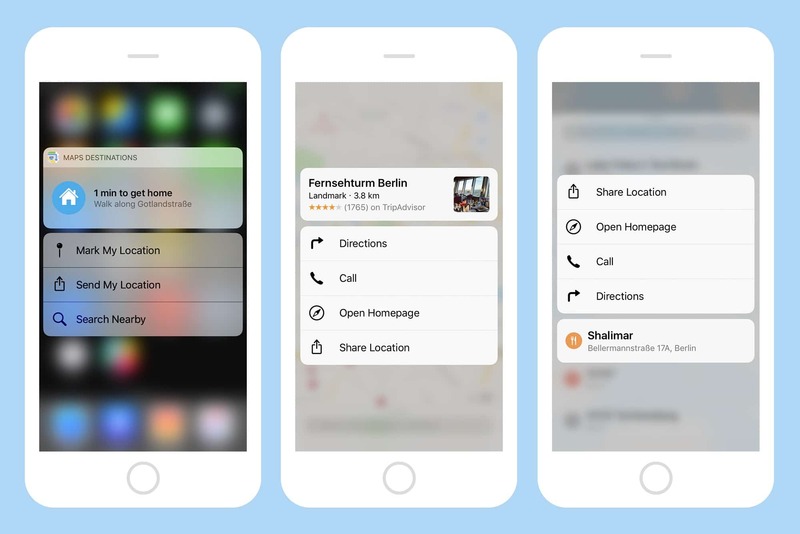 Just force-touch the Maps icon on your home screen (or in the Spotlight results and Siri app suggestions), ands you can choose to mark your current spot, to share your location, or to search nearby. Each of these can be done in the Maps app itself, or from the Messages app, in the case of location sharing, but this is much quicker and more intuitive. You may want to mark the spot where you fond a cool restaurant to visit later, for example, or a pathway where you took a turn in the woods, or maybe you just want to remember where you buried your treasure. This is the way to find them all again. When you spot somewhere on the map you want to know more about, then just force-touch it. At the very least, you’ll be able to share this location, or to get directions to it from wherever you are now. If Maps knows more about the place, you may also be able to call the place direct (on the phone! ), or visit its website. That mightn’t sound like much, but its a great way to find out what’s around if you’re in a strange city. When you tap on Maps’ search box, the one at the bottom of the screen on the iPhone, you also get a list of your previous searches and search results. 3D Touch one of these results to get a popover with the same options as you’d get if you 3D Touched it on the map, as above. Quickly check the weather anywhere in the world. See the little weather icon down in the bottom corner of the main map screen? The one that shows a sun or a cloud, and the current temperature? Try a hard press on that. Up pops a little box with the weather forecast for the rest of the day. Press a little harder and the location opens up in the weather app, where you can choose to add it to your weather locations, or just view it. This is handy to see if it’ll rain this afternoon in your area, but it’s even better when you’re looking around the world on the map. Curious about the current weather in the place you’re visiting in a few days? Just find the place on the map and use this trick. 3D Touch, as we keep saying, is a fantastic way to use your iPhone. Little by little, these shortcuts become automatic. If you ever find yourself pressing hard on your iPad’s screen, you’ll know that you’ve really gotten the 3D Touch habit.